Style in transit featured us! As mentioned in the previous post, the location for the second fashion show was the same. Yet, the atmosphere was quite different. This was partly because of the type of show, ergo the New Designers show, which was not only enthusiastically awaited, but was also characterised by unusual styles and playful creativity. There were a grand total of 13 designers, some of whom had already made their first foray into last year’s fashion week, such as Edith, Poshet!, Margo de Vidal, and Lukka. 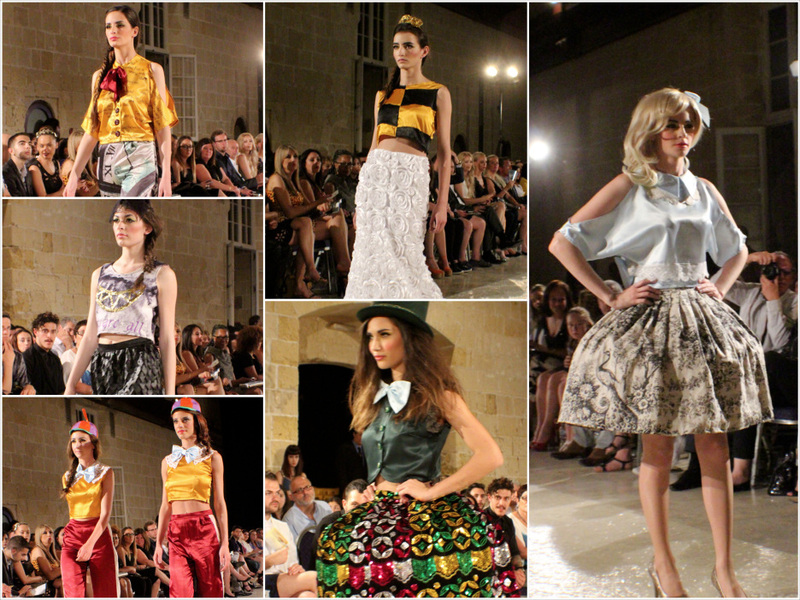 The other new designers were: Beyond Couture, Couture by Gaetano, Daze, Fretka, Gabrielle Fenech, Mari Aho, MC Fashion, Sarah Caruana Dingli, and Maria Cutajar. Artistically approachable, some of the designs and pieces emanate raw energy, calculated nonchalance, and capricious extravagance. Others exude boldness, ebullience, and perseverance in their staying power. The order of designers is according to aspects of design I have observed, as it was difficult to choose favourites; however, I enjoyed the collections of Sarah Caruana Dingli and Mari Ahoy for their playfulness and minimalism respectively.